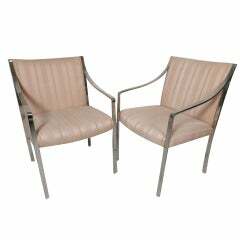 One Pair Of Art Deco Bent Wood Arm Chairs. 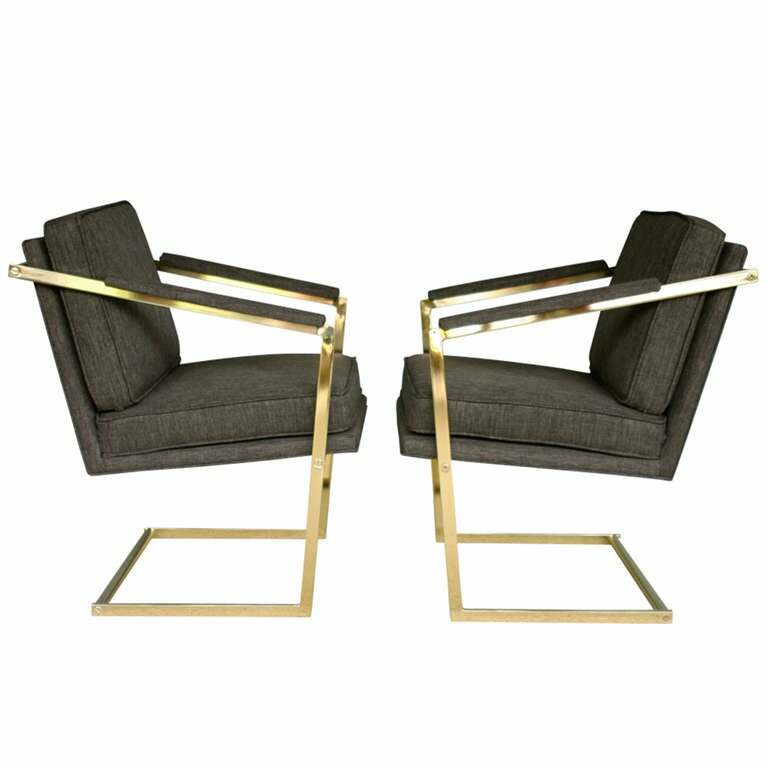 Pair of brass cantilevered arm / lounge chairs by Richard Thompson for Glenn of California. Set of four "Horseshoe" armchairs by Edward Wormley for Dunbar. This set retains the original leather seat cushions. 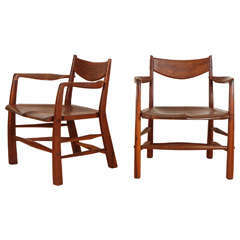 Round chair in teak with cane by Hans Wegner for Johannes Hansen. 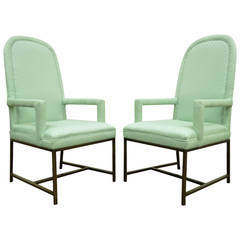 Original pair of Russell Woodard "Sculptura" armchairs, circa 1955. 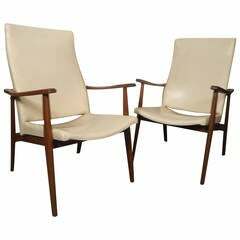 Pair of walnut chairs by Richard Patterson. 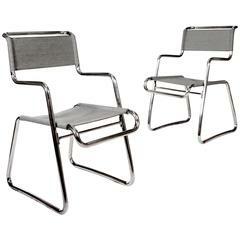 A pair of "Freischwinger" cantilever chromed tubular metal chairs. Each with slung fabric seats and backs. Manufactured by Hynek Gottwald. Czech Republic, circa 1930. Charles Hollis Jones, Hill Manufacturing Co.